Two of my kiddos and I got our first bad colds of the season last week, and I realized how much I dread winter time and cold and flu season that goes along with it. So this year, I’m committing to being pro-active and working on building up my family’s immune systems as best as I can. So, we will hopefully be less sick, and be able to fight off infections faster, this year. Probiotics help you to maintain a healthy digestive system by balancing the good bacteria in your gut and boosting your immune system. Eating foods rich in probiotics (homemade is best, of course) such as yogurt, kefir, fermented veggies, kombucha, etc. is the best way to get the probiotics your body needs, but there are also many probiotic supplements available. The fat and minerals found in traditionally prepared, homemade bone broth boost our immune systems and help us to fight off illnesses faster. My fellow contributor Katie actually drinks bone both straight from a mug when sickness is going around at her house! One theory of why winter is traditionally “cold and flu season” is because for many parts of the country we are outside less often and not getting much sunshine this time of year. The sun is an effective and natural way to boost Vitamin D levels in our bodies. 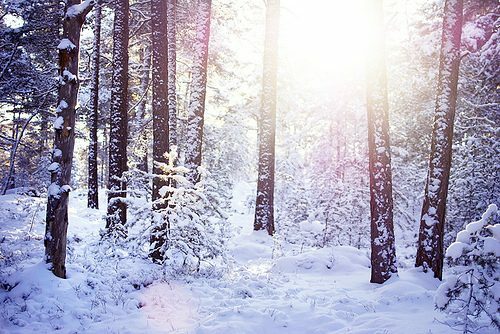 During the darker months of winter, it’s probably wise to supplement with Vitamin D either through Cod Liver Oil, or just Vitamin D liquid drops. This is one of the few natural remedies that I grew up using – taking Vitamin C supplements during the winter to avoid getting sick. These days our family tries to eat as many Vitamin C rich foods during the winter time as we can. We also use Emergen C during cold and flu season when we feel like we need a boost of energy or feel ourselves getting sick. I’ve made homemade elderberry syrup for two years in a row and given it to my kiddos on a regular basis, as well as increasing the dose when someone in the family is sick, and I believe it helps those who are sick to get better more quickly and those that aren’t sick to stay healthy and fight off the illness. 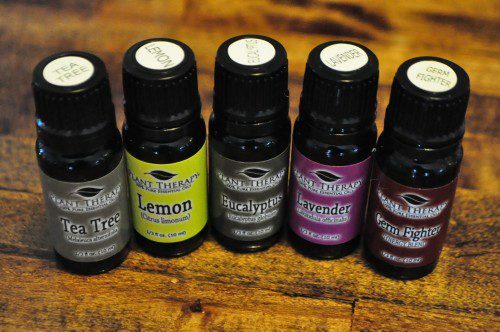 There are several different essential oils that are helpful for boosting your immune system and also for using to help fight off illnesses. A blend of oils traditionally knows as “Theives”, because it supposedly was used by theives during the plague to keep them from getting sick, is especially helpful. Our family uses the Germ-Fighter and Immune-Booster blends from Plant Therapy. Raw honey helps to soothe sore throats and coughs and also has immune boosting properties. Also, it’s a super easy one for me to give to my kiddos! They practically beg for a spoonful of honey every day, so why would I say no?! A tincture made with the herb Echinacea is great to use at the first signs of illness, or also to boost your immune system if you are exposed to others who are sick. I’ve also recently learned about astralagus from the ebook Simple Natural Health, for boosting the immune system and fighting off colds and flu, and plan to try making an astralagus tincture this year as well. For additional ideas, read Mandi’s experience keeping her kids healthy when she and her husband were hit with the flu last Christmas! 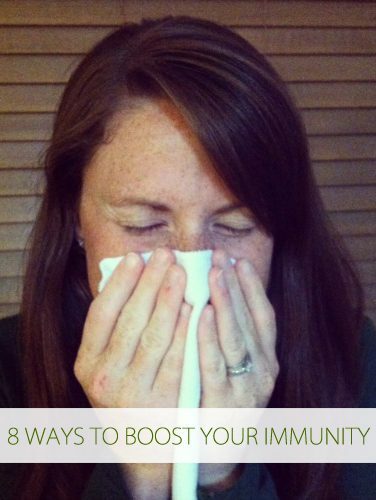 What are your favorite natural ways to boost your family’s immune system? Do you have any to add to my list? Emily McClements strives to live with compassion and caring for creation in a way that will impact the world. 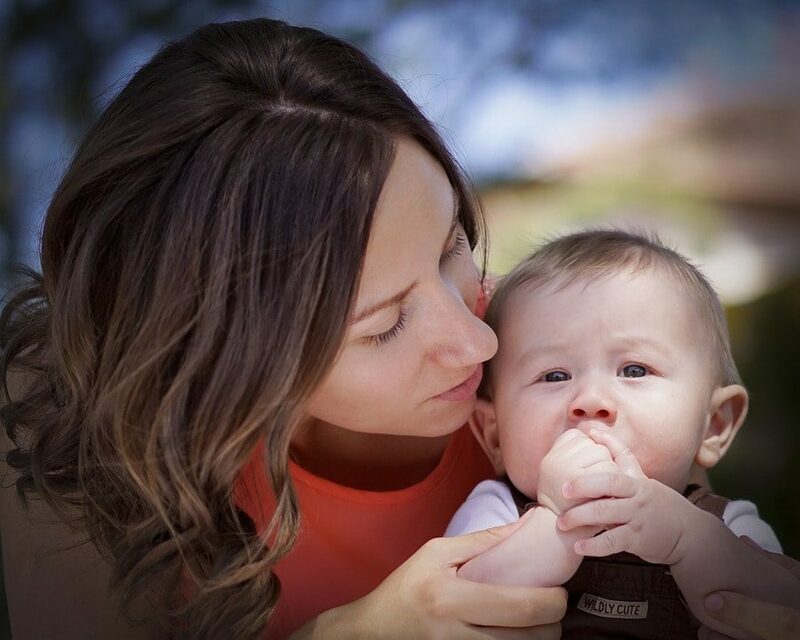 She is a blessed wife and mama to three young children, and blogs about her family’s journey toward natural and simple living at Live Renewed. Previous PostZarBee's New, All-Natural Seasonal Allergy Relief!